The Alfa Romeo Brera was a front-wheel drive sports car that the Italian automaker built from 2005 to 2010. 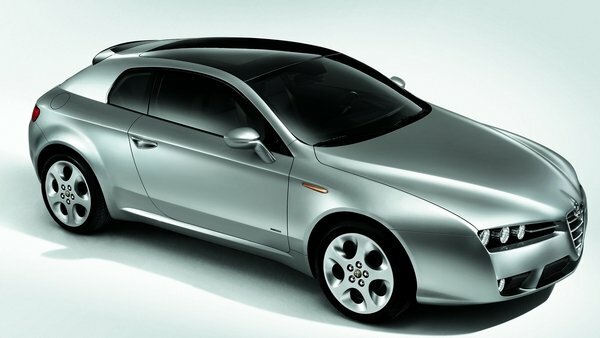 Despite garnering a handful of awards, the Brera wasn’t the seller that Alfa hoped it would be. Only 21,661 units were sold in its lifetime before the company decided to axe the model entirely. Fast forward six years later and there’s talk that Alfa is looking into dusting off the Brera name as it searches for a name for the eventual successor of the 4C. According to Autobild, the “new” Brera will have some notable differences from its namesake, most notably the switch from front-wheel drive to rear-wheel drive with all-wheel drive being considered as an upgraded option. The sports car will also make use of the same platform that currently underpins the Giulia, which would make sense considering how heavily invested Alfa is to its existing premium sedan. Should the company proceed with this plan, the Brera will carry a front-mounted engine as opposed to the mid-engine layout of the 4C. Speaking of the engine, details an engine-sharing scheme with the Giulia is possible, although power levels will be tuned differently to fit the specific needs of both cars. In the case of the Brera and its status as Alfa’s new sports car, expect the company to gear the car towards a more power-oriented profile with the possibility of using the same 2.9-liter turbocharged engine found in the Giulia Quadrifoglio Verde. The sedan has 505 horsepower on tap, so if the Brera were to use it, that output could be a little more than what the Giulia has. Needless to say, all of this still subject to a lot of approvals from inside Alfa Romeo. But with the 4C already entrenched in its lifespan, it makes sense for the Italian automaker to begin looking ahead on its possible successor. If the Brera does get the green light, it could lineup against some of the segments notable heavyweights, including the Mercedes C-Class Coupe and the BMW 4 Series. Continue after the jump read the full story.